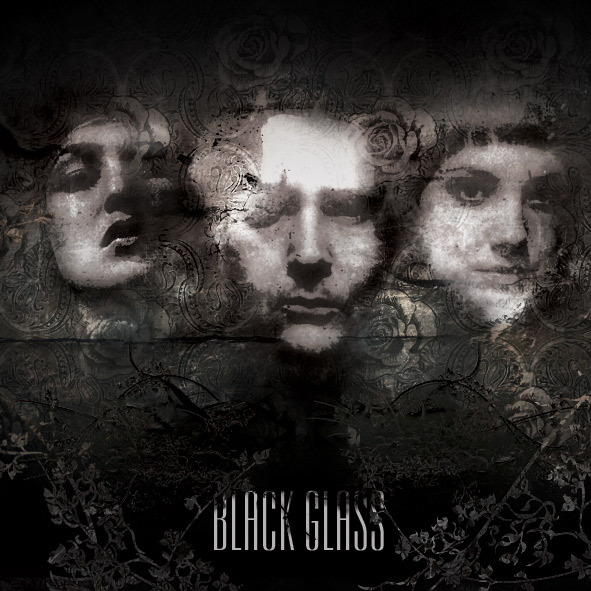 Black Glass is a music project founded in 1999 by Mirrorman – a representative of Polish independent music scene and a photographer as well. The band’s artwork involves a fusion of genres – starting from classical trip-hop and electronic music up to dark ambient. While recording the debut album „Inside“ (2000), besides Mirrorman being the author of all compositions, the band gained a Polish vocalist Lolitha known earlier from her solo projects and who had cooperated with Polish hip-hop scene’s headliners, i.a. Fokus. Black Glass’s sound depend on many factors such as the sound of old analogue keyboard instruments and the way of recording and mastering. Mirrorman consciously juggles with unpermitted techniques, often directing his step towards extreme ways, such as recording sounds with the use of partly damaged microphones, wires or old buzzing reporter mixers. What is Black Glass’s story? Since the very beginning of the project’s existence their action were shrouded in close atmosphere of mystery. Not being in favour of the media noise, Mirrorman, purposely refrained from promoting the project’s releases. Information about the band spread mostly through the Internet channel, the band was getting more and more listeners, but still full versions of the albums stayed unattainable for the interested fans. In 2002 Black Glass finished their second album, “Sapphiro Crimes“. Together with the material, the release brought another fundamental change –Lolitha was replaced by Idden, the author of all vocals and lyrics on the record. Two years later the third studio material was brought out. The album entitled „Mirranda“ was another step forward into the land of sounds vibrant with uneasy energy . The new material again presented quite a changed image. Hushed compositions filled with melody dominated „Morphine“ and surprised everybody. After 11 years of their career Black Glass releases a debut ‘’Holy Rain’’, being also the last album of the group. What is more, ma king one’s debut with… a double CD is surely an uncommon situation on Polish phonographic market. There are more exceptional aspects of the band’s newest publication: for the first time in their history both of the vocalists, Idden and Lolitha, met on one album and Mirrorman decided to cooperate with artists who are not members of the project. Thus in the first part of „Holy Rain“ the band keeps the original make-up, while in the second – in most of the tracks the invited guests appear: Glaca – the vocalist of Sweet Noise, She.xist – the American trip-hop vocalist, India Czajkowska – the vocalist, composer, multiinstrumentalist, Tim Kruskamp – the leader and the guitarist of the American formation Dead Tree Symphony, Andrea Schroeder – the German vocalist, Maja Chmurkowska – the vocalist of the group called Zerova and DJ Kostek – the legendary dj and hip-hop producer.